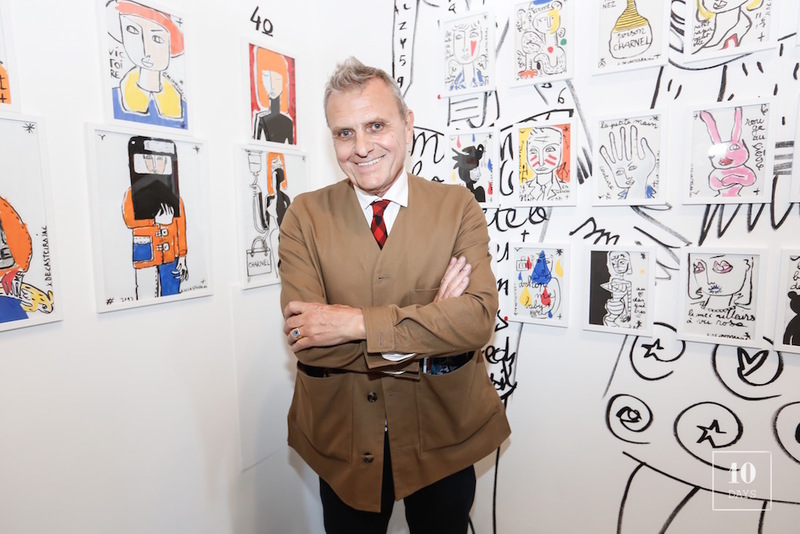 For his new exhibition, Jean-Charles de Castelbajac devised “40 passages” from an utopian fashion collection. On the walls of the Mannheim Gallery, the designer drew a dreamlike parade at the frontier of art fashion. More than 300 guests from culture and international fashion world answered for the poetic and inspiring catwalk of the creator. On this occasion, le Chef Pierre Sang organized a gastronomic culinary tasting and was unveiled in preview the new collaboration of Jean-Charles de Castelbajac with Nekart Wine, a new initiative in the art and wine associated world.